Archibald Haddock is a character of the comic book series “The Adventures of Tintin”, captain of a long-distance sailing ship, the best friend of the main character Tintin. 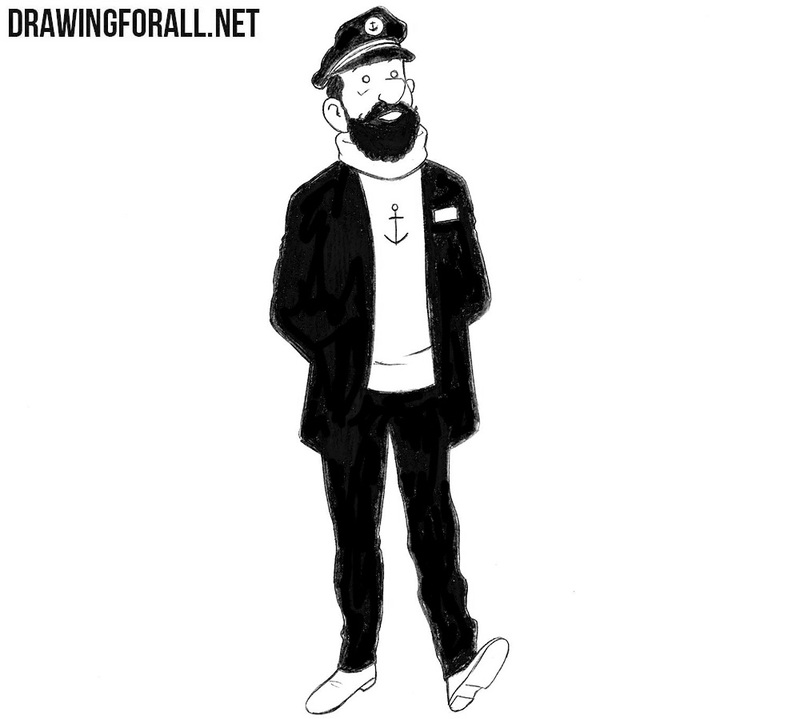 And in today’s drawing lesson we want to show you how to draw Captain Haddock. 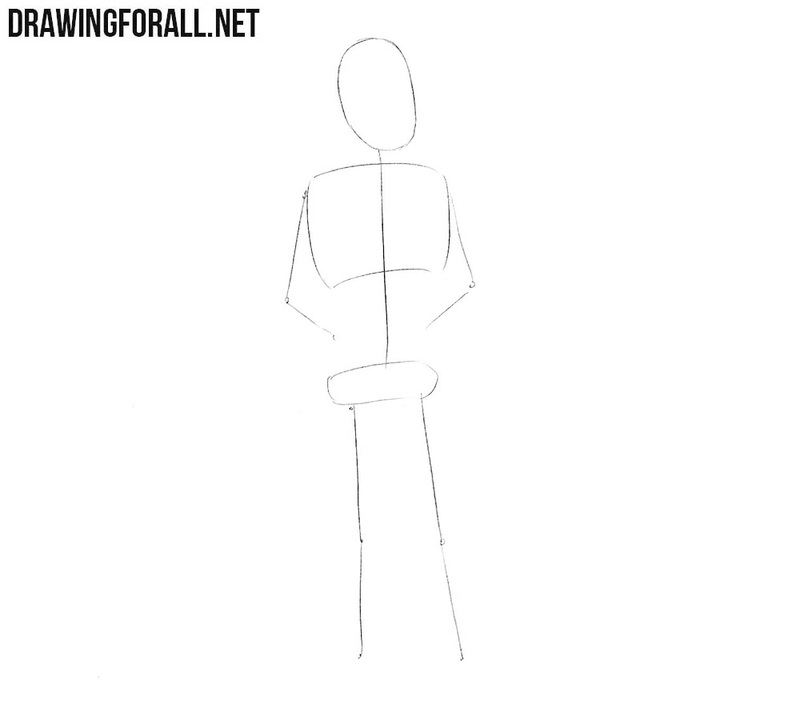 Despite the fact that today’s drawing is very simple, we still begin this lesson by first drawing the skeleton of the character. 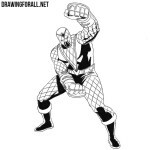 Sketch out the skeleton with simple lines as shown in our example. Now we sketch out the intersecting lines on the face. 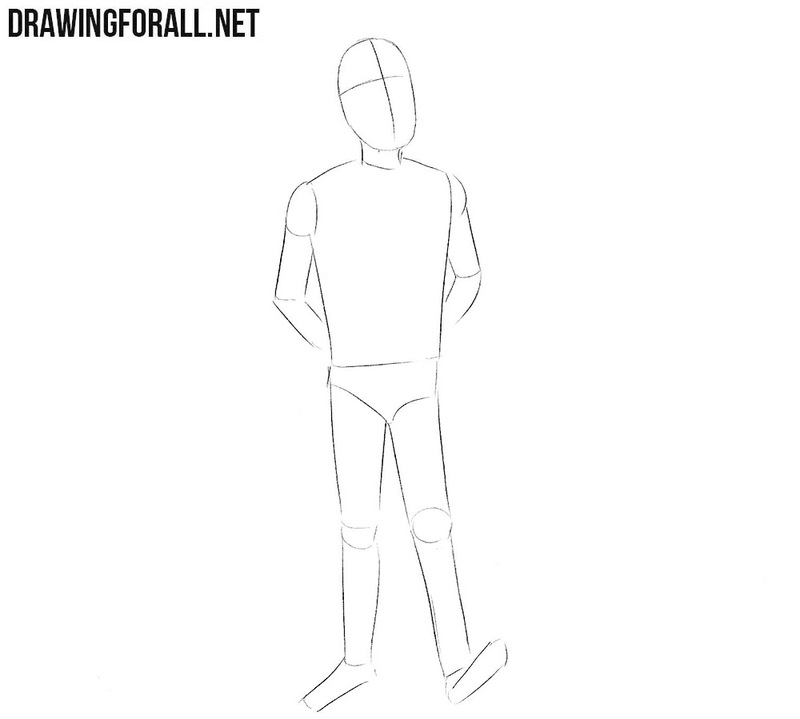 Next, sketch out the outlines of body parts using simple geometric shapes. Do not try to push the pencil too hard, the lines should be very light. Now add the most basic details on the drawing. 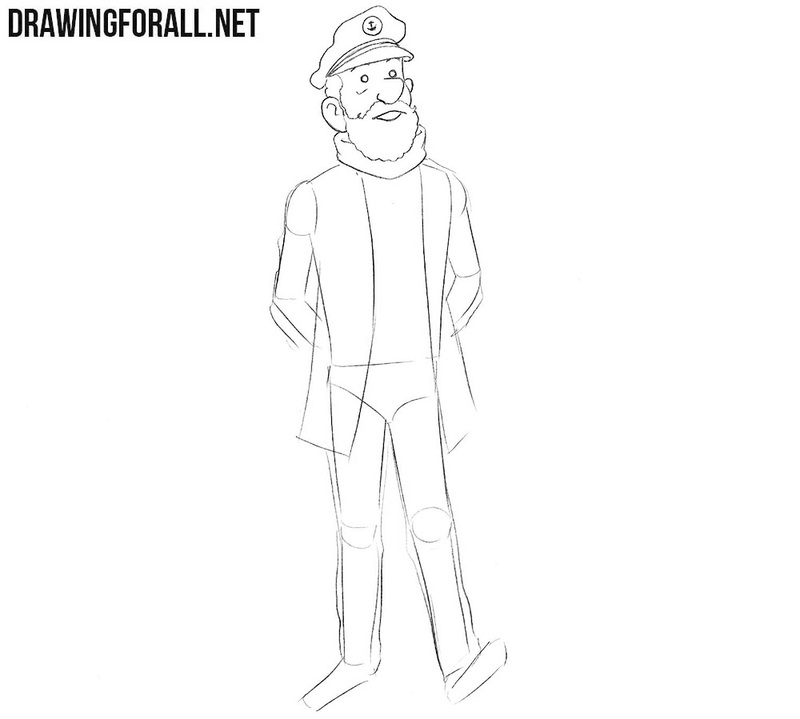 First, sketch out the outlines of the details of the face, beard and sailor’s hat. After that we move a little lower and sketch out the outlines of the details of the clothes. Starting from this step, we will press on the pencil more strongly. Carefully circle all the details of the face, beard and hat, that we sketched out in a step earlier. We finish the step by removing all unnecessary guidelines from the head. Now we carefully draw the large collar of a turtleneck, visible from under the jacket. After this, we circle the lines of the jacket, draw an anchor in the center of the chest and a handkerchief in the jacket pocket. Let’s now proceed to the simplest step, in which we will draw the legs of Captain Haddock. Gently circle the outlines of the pants, considering the folds of the fabric. 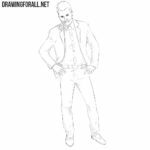 Draw the captain’s shoes and remove any remaining extra guidelines. 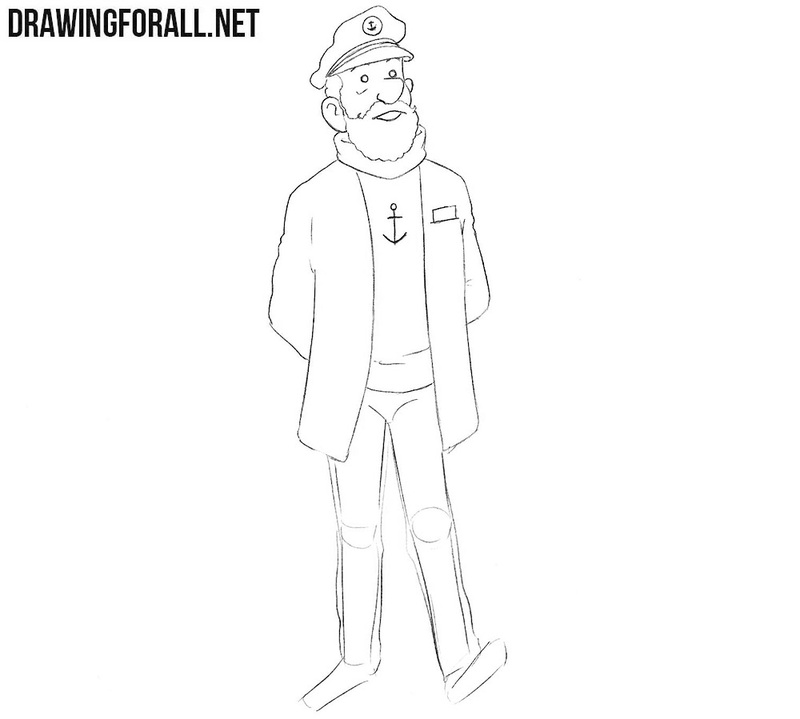 Now take a darker pencil (or a marker) and start painting over parts of the sailor’s hat, as in our example, hair, beard, jacket and pants. If you did everything right, then you get such a drawing of Captain Haddock. 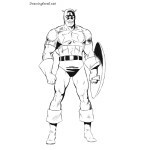 As you can see, we mainly draw characters from comics about superheroes, but do not forget about the other types of comics. 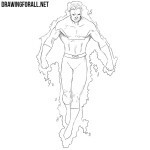 What character from a comic, cartoon, or movie would you like to learn to draw? Write to us about it in the comments to this article, on our social networks, or send us a bottle with a letter.